Across The Universe – We All Are One! I thank Linda Dillon of the Council of Love for channeling my beautiful Angelic guides, who have been with me from the very beginning….many life times ago upon Sirius. To my Native American Lakota Shaman guide “Double Eagle”, I thank you my very dear friend for your promise, patience and healing teachings. As you are keen to my preferences, I always yearn for more when we soar the heavens, mountains and oceans together during my dreamscapes. For you and everyone, it will be my honor to continue developing my healing work, remembering what you have taught me in past lives and extending it to those in need. For my five breathtaking and wondrous Owl totems, I thank you for reminding me of my “gift”. The ability to see thru the veil to the “truth”. To my beautiful Guardian Angels – Marianna, Malaia and Mabel – I thank you for guarding, protecting, guiding and inspiring me. My desire to infuse GOD’s love, light and healing is part of my mission as a Wayshower thru this transformational shift into unity consciousness – into oneness….and I love you my precious Angels and Guides for walking with me on this path and for so much more. 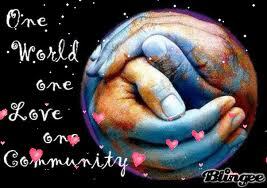 It is amazing the power each of us holds to co-create and manifest a world of our dreams. And so my heart and healing message today is this – now is your moment in time to IMAGINE IT, LIVE IT and LOVE IT every day and watch it blossom all across the world, all across the universe for we all are one. For Mabel, I thank you for imprinting this song upon my mind in the wee hours of the morning, “Across The Universe” by The Beatles and for Marianna’s words of interpretation: “It’s not just about the brotherhood or the sisterhood – it’s about the family of the universe – the quality of connection between all beings, all races, all genders, all forms of life – and the sacred nature of all forms of life – and that each communicates uniquely and beautifully in their own way – if you just stop, allow and listen.” This song communicates to each of our souls and cries out to us to just stop, allow and listen. To each of you reading this message, you have my love. Please enjoy the music video below and share with me your beautiful and wondrous thoughts. With much love and gratitude….Namaste my friends, Francine. This entry was posted in ascension and tagged 2012, 5th dimension, across the universe, ascension, awakening, beacon of light, being one with all, consciousness, love, new earth, sirian, spirituality, the beatles, truth, universe by Francine. Bookmark the permalink.